The school comprises of 4 wings Montessori, Primary, Senior Secondary ,Senior . For the smooth functioning of school, each wing has its own coordinator and set of teachers. 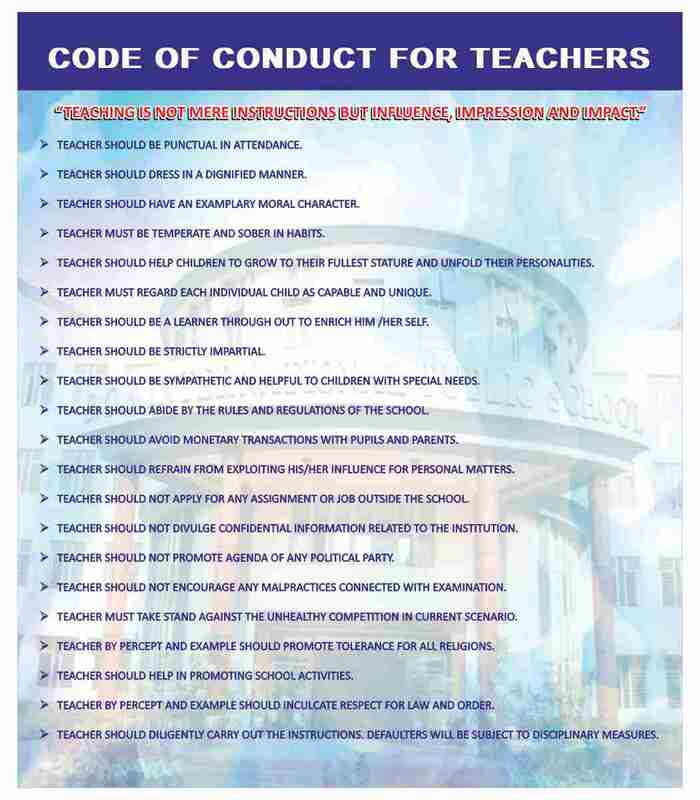 School follows CBSE curriculum and medium of instruction is English. The innovative curriculum for Montessori Section is being brought out with objective of reinforcing concepts, ideas, skills and activities not only from teacher’s point of view but also meant for parents to comprehend what is being done in the Class-Room. The Area of growth & development shows content, concepts, objectives methodology and even the related activities. Main thrust is on creating activities in and outside the classroom, as we are in the age of technology. Technology with a blend of human values is the ‘New Mantra’. With these strategies we have been successful in working with concept of ‘No-Home-Work’ alongside school has developed the system of Weekend assignments and no bag-load. Special activities are designed for this wing on every Wednesday. List of activities are included in our school planner. The school has a perfect blend of academic curriculum and co- curriculum. After completing two years in this wing children are graduated to First Standard. After Graduation Day, this is how finally they move from informal to formal education system. Medium of instruction right from the beginning is English. There is a provision for offering second and third languages as per the rules of the affiliating body of the school. In such an exciting and enriched environment, it is not difficult for students to acquire, specific to their age and class, requisite knowledge, fundamental skills, modes of learning, power of analysis and expression, ability to read with critical perception, ability to think coherently and speak with force and clarity. BGSIPS tries to foster in them, as an ongoing process, self-education, discovering of potential and ability to function autonomously as an individual. BGSIPS sets in motion a process of examination and introspection that leads students towards a personal definition. BGSIPS helps them to identify their moral values and offers them an opportunity to develop empathy and moral courage required to endure uncertainty, anxiety and suffering. BGSIPS encourages them to become knowledgeable citizens and imaginative and vigorous leaders. BGSIPS teaches them about attitudes, perception and mental habits that facilitate learning. BGSIPS strongly believes that this type of education provides a comprehensive value base for students, rather than narrow expertise in academics. Assessment focuses on students use of knowledge and complex reasoning processes, not mere recall of information. BGSIPS will not unduly engage in the pursuit of outstanding board results, but will definitely aim for high laurels. With emphasis and stress on all round education, excellent board results will ultimately accrue. What we do at BGSIPS is to challenge our students to make a difference to the world they inherit. To this extent, the school has an imaginative programming of the curriculum that is continuously enriched. It is also a broad based curriculum providing developmental and imaginative education, rescribing the minimum levels of learning and competences at each stage, each class and each subject area of learning, a curriculum providing a holistic education aimed at all round development. By stressing this, the school encourages students to seek and discover perceptions of their inner selves, while reflecting on the nature and texture of their exterior lives.